Make after school time a happy hour. 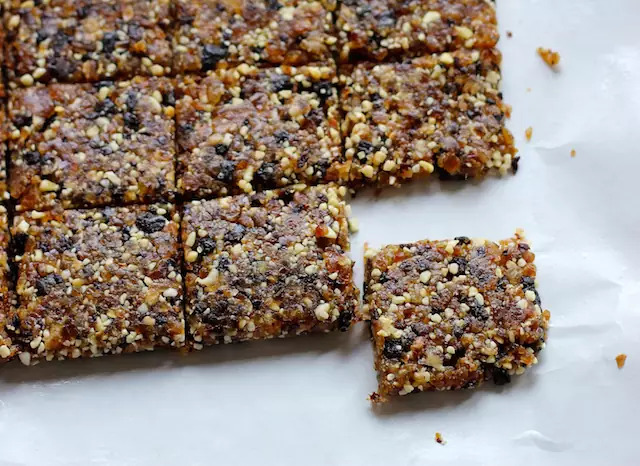 Provide your kids with these tasty snacks that are easy as well as delicious. We are halfway through our first week of school. So far, so good. I’ve stayed (mostly) on task, teaching six kids, keeping the house (mostly in tact), and no one has starved. 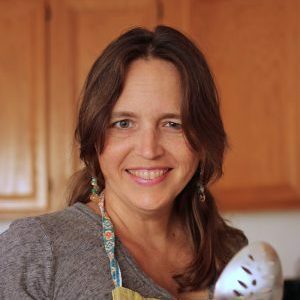 I had big plans to make a bunch of salads at the start of the week so that I’d have fresh and healthy “teacher” lunches. That didn’t happen, but there’s always next week. Instead, we are all ready for an afternoon snack. Even my husband. He starts work before the sun, so he’s home by 3 pm most afternoons. That’s too early for us to eat dinner, but we’re all pretty ravenous by that point. Capping the school and work day with a little kid-friendly Happy Hour is a great way to transition to the evenings activities. And if you do a little snack-making freezer cooking, it’ll be pretty easy to pull off. 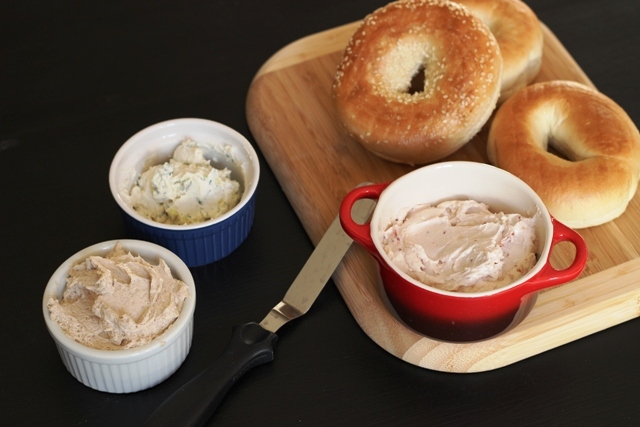 Add a little homemade flavored cream cheese to a toasted bagel for a satisfying afternoon snack. 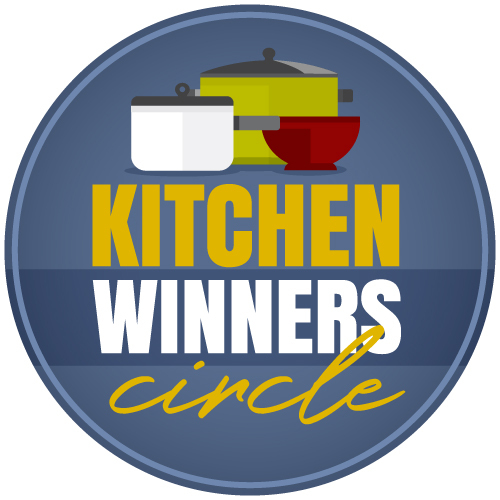 Choose from one of these three flavored cream cheese recipes — green onion, strawberry, or brown sugar & spice. These Mamabars have only THREE ingredients and a great cherry pie taste. All naturally sweetened. 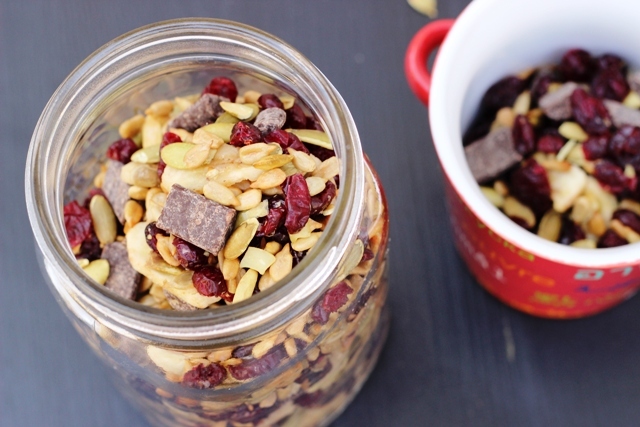 Keep a stash of this Nut-Free Monkey Munch Trail Mix on hand for a quick afternoon snack. You can pack it up in snack bags if you’ll be on-the-go afterschool. 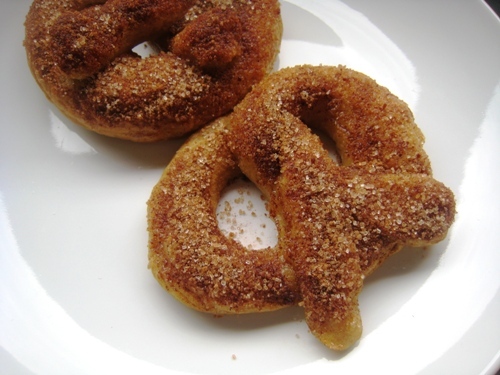 Your kids will think you’re a rock star if you make up some of these whole wheat soft pretzels. If they want to get in on the pretzel-making action, have the dough ready to go once school is out for the day. 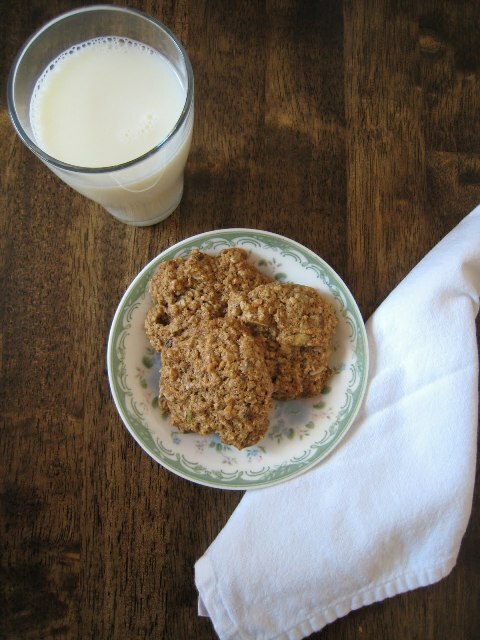 Although these are called Breakfast Cookies, they make a great afterschool snack too! 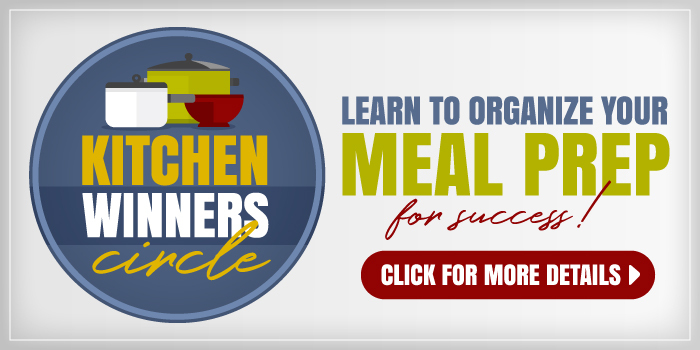 It’s a great way to sneak in some healthier ingredients. 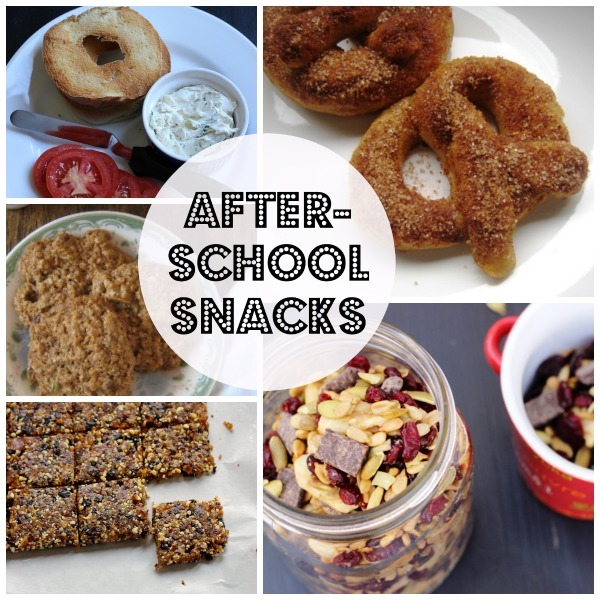 What’s on the menu at your house for after-school snacks?